As we continue to discuss the Anti-Christian actions President Bush has carried out during his 2 1/2 years as President of the United States, we shall focus on his Antichristian Politics. As the Illuminati is gradually moving the world into the Kingdom of The Christ -- New World Order -- they have expertly worked in the realm of politics to achieve their ends. 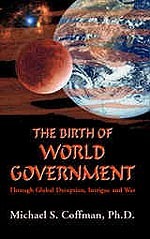 To fully achieve their ends, they have created many different political organizations that would continuously work toward New World Order goals even though they did not appear to be doing so. Chief among these political organizations was the CFR - Council on Foreign Relations. With Americans going to the polls every two years, a leader that would be courageous enough to make some of the tough, unpopular decisions the Illuminati felt were necessary could very well be voted out in the next election. Then, his successor might take action that would cancel out the decision of the previous leader and the impetus toward the New World Order would be lost. How can this tremendous liability be overcome? The answer was deception, the kind of unparalleled deception of which Jesus warned us in Matthew 24:24. On July 29, 1921, a plan was put into action that would overcome the problem with democracy and its elections, and this plan overwhelmingly exuded deception. An institution was established called the Council on Foreign Relations [CFR]. Supposedly, this new organization was designed to be kind of a post-graduate training school, a Graduate school if you will, for selected leaders who aspired to government "service". In reality, the CFR thoroughly trained these bright and energetic leaders, most of them young, in the ultimate goals of the New World Order. Then, these leaders were trained as to how they might work in their lives, in their chosen professions, to aid the United States move her people, and the nations of the world, into the New World Order. Before they left the training of the CFR, these young leaders assumed labels that they would wear for the rest of their lives, and by which they would be known by the voting public. Some CFR graduates would be known as Liberals, and some Conservatives. Some would be known as Democrat and some as Republican. Some would be known as Liberal Democrat or Liberal Republican and some as Conservative Democrat or Conservative Republican. While they would agree to strongly fight each other on many issues, they would cooperate whenever the issue was critical to the success of the New World Order Plan. By the advent of World War II, the CFR endeavored to have both candidates in most races be CFR. Thus, it did not matter who got elected, the Plan would go forward. And, if the voters were angry over an issue and the candidate who had supported it, they could throw him out and elect the CFR candidate of the opposing party! Then, the Plan could still go forward! The candidate whom we have elected for President, the Congress, and most state governments, hasn't mattered one bit, because each successive candidate is as committed to the coming global government as was his predecessor. Thomas Jefferson warned us that this pattern of behavior on the part of our leaders, over a period of time, is proof of a conspiracy! Listen. Haven't you noticed, and probably verbalized to someone, that it does not matter for whom you vote? Haven't you heard it said that there is not a "dime's worth of difference" between Democrat and Republican parties? Of course, you have! Thomas Jefferson warned us that such a pattern is proof of a conspiracy! "Through every change of ministers" since 1921, the Illuminati plan to globalize the world politically, economically, and religiously so their New Age Masonic Christ could appear, continuously moved forward. Men and women coming out of the CFR are the ultimate Illuminati trusted insiders. While control of the Presidency, for example, has passed from party to party, with different men being elected on differing platforms, the one constant has been the tremendous number of CFR men each president has brought into his Cabinet and other lesser posts within his administration. Therefore, Conservatives usually look at the number of CFR men each president brings on his team to attempt to ascertain the direction he is really going to take during this term in office. A good example would be Ronald Reagan. Even though he campaigned as a "Beltway Outsider", he brought on George H. W. Bush as his Vice President; Bush is very strong CFR. Then, after the election, President Reagan further dismayed Conservatives by bringing on a shockingly number of CFR men in his Cabinet and on his adminstrative team. In 1988, after 8 years of presidency, Reagan left office without accomplishing any of the major goals on which he had campaigned in 1980. His rhetoric against abortion, for example, was high and lofty, but he took no real action. His rhetoric on stopping the "Panama Canal Giveaway" was riveting, but he took no real action. Conservatives today love Reagan, but only because the story has been spun that he defeated Communism; the reality is that the dissolution of Communism was planned in 1917, the very year Lenin began his Communist government! [Seminar 2, "America Controls The True Flow of History"]. Reagan's policies had nothing to do with the fall of Communism! The script for its fall had been written 72 years before the fall. Reagan's rhetoric was illusion; the influence of his CFR team was the reality, a reality as heavy as concrete. A fourth road is even now being paved, with "good intentions": the road to Antichrist. The planned World War III to produce him beckons, led by a very strong Illuminist, George W. Bush -- Dubya. President Bush has learned the lessons of rhetoric well. In this article, we shall demonstrate that Bush has taken actions that are anti-christian and very strongly Illuminist. In fact, Bush has fulfilled every single Illuminist part of the plan that was supposed to occur during his term in office; after the 9/11 attacks, Bush brazenly carried out the Illuminist script, all the while cleverly disguising the truth of who he was from Christians. We are going to show you that President Bush has consistently relied upon men in his administration who are Illuminists through and through. These are wicked men of the highest caliber, totally committed to the Illuminati Plan to start and wage the planned World War III and all its planned domestic terrors, so Antichrist can arise. A truly Born Again believer would not bring this type of men into his government, especially since he is an adept at Skull & Bones and, therefore, knows the Illuminati plan exceedingly well. * Brought Into His Administration Illuminati Members of the CFR - Council on Foreign Relations -- NEWS1451. This is a listing of the CFR members supporting George W. Bush during his presidential campaign. James E. Baker III -- Secretary of State in President Bush's administration and used by George W. during the Florida recount scandal. Robert Zoellick, former Under Secretary of State in the Bush administration. All of these people were life-long members of the CFR, a most distressing turn of events for Christians who had placed their hope and faith in George W. to be different and turn things around for America. Colin Powell is the most distressing example of the Illuminists to whom President Bush has given great leadership responsibilities. As we revealed in NEWS1395, Powell was co-chairman of an Economic Conference held in New York City, August 28 - September 10; this conference was the global conference envisioned by the House of Theosophy as being the necessary catalyst to the Kingdom of Antichrist, the New World Order. And, Powell was co-chairman of that Antichrist Conference! This conference fulfilled every detail of the Theosophical Plan. * Bush "faced the obelisk" during his Inauguration, just as Illuminist Presidents Reagan through Clinton had done -- NEWS1463. The Washington Monument is the world's most famous phallus symbol, also known in the occult as an obelisk . Freemasons and other occults absolutely revere the phallus. The Washington Monument is strategically placed so that leaders of Congress and the White House can "face the obelisk" daily, just as all devout occultists are required to do. As we report in NEWS1040, Masonic symbols are represented in Government Center by the way in which the original street layout plans were created. As we report in NEWS1399, all of Government Mall is created in the form of the Satanic symbol, Sephiroth Tree of Life, also known as the Masonic Coffin! Every President is inaugurated, as we call it; this word comes from the Latin word, "inaugurare", which means to "take omens" [Tormont Webster's Illustrated Encyclopedic Dictionary], a most occult term. For this reason, the very date of Presidential Inauguration is planned every four years on January 20; every month, the 20th day is the beginning of the occult cycle of Astrology! Further, there are precisely 13 days between January 20 to the High Satanic day called Imbolg [Groundhog's Day]. Therefore, every president since World War II has taken his oath of office precisely 13 days before Imbolg. George W. Bush took his Inaugural oath facing the obelisk. Reagan startled the occult world by taking his oath of office from the West Wing of the Capitol, and not the East Wing as all his predecessors had done. When President Reagan decided to become the first U.S. President to take his oath from the West Wing of the Capitol, he faced the obelisk. This fact meant that he was sending the strongest possible signal to fellow Illuminists the world over that, after 205 years of pursuing the goal of establishing the New World Order -- Kingdom of the Antichrist -- the plan was entering its final phase. Every president since then -- Bush, Clinton, and now George W. Bush -- have similarly taken their oaths of office facing the obelisk. It is difficult to think of a more despicable Satanic symbol than the obelisk. Every Godly King in Israel who turned the nation back to God were Divinely ordered to destroy the obelisks of Baal. All occultists literally worship the Egyptian Sun god, Ra, whom they believe resides within any obelisk. By "facing the obelisk", a person is also worshipping the evil, Satanic spirit within. Given George W. Bush's deep Satanic background within Skull & Bones, he would understand very well what the Satanic implications were of "facing the obelisk", and of the equally deep Christian concerns about it. Therefore, if he were truly Born Again, he would have pointedly refused to take his oath of office "facing the obelisk". The fact that he faced the obelisk during his inauguration is a huge sign that he is Illuminist, not Christian. * Bush Administration experts are proposing new laws and police regulatory rules in the guise of fighting terrorism that just might take away our precious liberties -- Just as the Protocols of the Learned Elders of Zion envisioned! -- NEWS1550, NEWS1567, NEWS1576. Thus, in the name of protecting the U.S. Constitution and the individual liberties it guarantees, President Bush is fulfilling every detail in the Illuminati plan to dissolve our government and take away our freedoms. Do not be deceived: this "terrorist" threat is created and contrived, and its original aim is you and me. Would a Christian president act this way? Of course not. However, when you read these new proposed new laws, your hair will stand on hand, for you will see a police state arising in front of your eyes! When you read this above article in depth, you will see that Ashcroft's Justice Department lied to members of Congress who inquired about the rumors they had been hearing that such an expansion of the heinous Patriot Act was being considered. * Bush Administration officials declared that the old, Civil War Seditious Law may be used against dissidents! -- NEWS1575. NEWS BRIEF: "Sedition Law Used To Hold Suspects", Yahoo News, Thursday, November 8, 2001, by Pete Yost, Associated Press. This act is terrible, and may be used one day to shut all dissidents down, including Cutting Edge Ministries. All you have to do is to disagree with the president to get thrown into prison for 20 years! 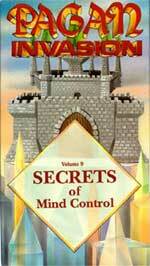 * Bush enacted the core Illuminist plan to impose Martial Law on the entire country. NEWS1577. The Illuminati wants very much to impose Martial Law, for then they will truly be in control and will never have to worry about democracy or a Representative Republic again. You see, Antichrist cannot arise if major countries are still free and still electing their government. In every country on earth, this World War III must result in chaos sufficient to declare Martial Law and rule by dictatorial fiat. Terrorist attacks of Nuclear, Chemical, or Biological weapons are planned in sufficient numbers so as to panic the entire population of these countries into welcoming the Martial Law, naively believing they will get their freedoms back once the "terrorists" are vanquished. When Bush enacted this plan, I felt confirmed that he was Illuminist through and through. * Bush redefined "terrorist" to make it any person deemed against the government - NEWS1580. NEWS BRIEF: "YOU MIGHT BE A TERRORIST", by Brad Edmonds, LewRockwell.com, 11/15/01, Rense.com. However, Martial Law may also be declared in the countryside if a "Mad Cow Disease" outbreak is declared, and if the government follows the terribly destructive policies of the British Government in 2000-2001. We have numerous articles written about the British campaign. Go to Directory of All Articles - https://www.cuttingedge.org/news/directory.html - type, CTRL-F for "Find" and type in "Foot-and-Mouth" to read all the articles on the British slaugher of animals nearly 98% healthy. This scenario could be the pattern for declaring Martial Law in the United States. * America's "Most Trusted" President Grabbed Dictatorial Powers -- NEWS1584. American citizens are confronted with a reality of which very few of them understand today, starting just 3 months after the September 11 attacks. The reality facing us is that the President of the United States has accumulated to himself the most frightening array of dictatorial powers in our nations history. What powers Congress has not given President Bush, he has taken with his Executive Orders. If he wanted to, President Bush could dissolve Congress, abolish the Constitution, declare all dissidents to be "Domestic Terrorists", try citizens in secret courts, invade our homes with searches without warrants, and seize all sectors of our economy. No President in history has ever possessed such potential powers, and every thinking citizen must be gravely concerned. Read this above article carefully and thoroughly, and you will truly be shocked. * President Bush authorized "Summary Execution" of "U.S. Enemies" Both Within and Without the U.S.
Further, Attorney General Ashcroft revealed a "hellish vision" for America; he is establishing concentration camps! Finally, Homeland Security Director, Tom Ridge, redefines "terrorist" as U.S. Citizens. NEWS1691. Further, as this article demonstrates, Attorney General Ashcroft let it slip that he is planning concentration camps for U.S. citizens he has declared to be "Enemy Combatants". No truly Born Again Christian would tolerate this. In the realm of journalist speech, the writer of a controversial article will soften the blow of his story, many times under the threat of a censor. Thus, the reality that the FBI is torturing some of their illegally detained Arabs is changed in "considering". That is is the case here, one has only to turn to another article, on Rense.com, November 6, 2001, "Un Torture Investigator Concerned About US 9/11 Detainees", by Stephanie Nebehay. "GENEVA (Reuters) - The United Nations' torture sleuth expressed concern Tuesday about the potential scope for abusing hundreds of people held in custody in the United States in connection with the suicide attacks on Sept. 11 ... His concerns echo those expressed by activists that the largest U.S. criminal probe in history could lead investigators to commit brutal excesses while interrogating suspects." The news about the US torturing some of its detainees rose to such a strong level that WorldNetDaily even ran an editorial blasting the practice. NEWS BRIEF: "Torture: Rack by popular demand!" by Joel Miller, WorldNetDaily, 12/4/2001. "... torture has been on the outs in the better-smelling parts of the Western world for hundreds of years. But thanks to the Sept. 11 terrorist attacks and the government's giant-rousing reaction, the rack is back! Not formally, of course ... something to jump-start the stalled investigation of the greatest crime in American history. Right now, four key hijacking suspects aren't talking at all." People on both the political Left and Right began to suddenly preach the need to torture these "ruthless Arabs" for the good of the country, of course. The sudden way in which both Left and Right began the mantra to torture at the same time and with the same ferocity suggests a "higher-up connection", and master manipulator pulling the propaganda strings. It almost seemed as though the Bush Administration was trying to convince us that torture was now THE way to force these dastardly Arabs to cooperate. Whenever you see numerous people on both sides of the political spectrum suddenly advocating the same side of a very controversial subject, you know you are looking at Step 1 of the Six Step Attitudinal Change Plan -- NEWS1056 -- with a built-in accelerate added to make the process mature much faster than normal. Suddenly, after 9/11, Bush Admininstration officials were so intent upon "protecting American freedoms" that they had adopted the Communist philosophy: "The Ends Justify The Means". Remember, the issue here is not whether American interrogators have employed brutal torture in past wars to "ewnemy combatants" in the heat of war; they undoubtedly have. The issue is whether a Born Again president would allow such torture. God is as concerned with methods as He is with results. You simply are not biblically allowed to employ unbiblical methods to achieve a "good" result! No presidential rebuke ever occurred, as the FBI continued its plans for large concentration camps for American citizens deemed to be "enemy combatants". Torture is spiritually evil fruit; both supposed 'christians' of the Bush Administration - Bush and Ashcroft - are guilty of the least allowing it..
* President Bush established the "Gestapo" type of domestic police-state enforcement arm, Homeland Security - NEWS1743. "Power Grab of Unprecedented Proportions" from a "government intent on total control over its citizens", intones Joseph Farah of WorldNetDaily. While this power grab will do little to thwart true terrorists, it will prove very effective in enslaving an entire population, exactly as the Illuminati has been planning since 1776. Once again, Bush is fulfilling every single detail of the Illuminati Plan. * Bush based his actions against Afghanistan upon the United Nations resolutions, not upon any National Sovereignty the U.S. possesses! Not only has President Bush surrendered American sovereignty to the U.N. just as completely as did Clinton and Bush, Sr., but he pays obeisance to an organization established on the satanic foundation the Illuminati established. 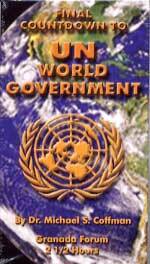 Did you know the only reason the U.N. was founded was to be the ultimate global government that Antichrist would control? -- NEWS1551. NEWS BRIEF: "President Bush Declares Another State of Emergency", http://www.lawandfreedom.com/ by William J. Olsen, Attorneys At Law, September 18, 2001. "President Bush issued a new executive order declaring another state of national emergency and invoking certain additional standby powers. President Bush relies on actions of the United Nations as a principal source of his authority to defend the United States. This curious practice perpetuates the approach taken by President Clinton." "The atomic bomb does not belong to the three nations who perfected it ... It belongs to the United Nations for use ... or threatened use ..." [Real purpose of the U.N. as revealed by Alice Bailey, The Externalisation of the Hierarchy, p. 548; Emphasis added. Originally penned in April-May, 1946]. * Bush began to "Federalize" all state and local law enforcement agencies, many times without the average trooper aware that his upper chain of command has suddenly changed. - NEWS1597. Borrowing another page from Hitler's actions to prepare Germany to go into his version of the New World Order, our Federal Government is both arming its agencies militarily into SWAT teams, plus "federalizing" state and local law enforcement agencies. Hitler did same thing between 1933-39, until he had firm control of all law enforcement! Now, Bush can relieve every single local and state commander of every police force in the country, and do so with blinding speed. This means that, in a time of national emergency, Bush is a dictator, and has nothing to fear from any local or state commanders, or a combination of commanders. Hitler used this tactic very well in the mid-1930's as he was consolidating his dictatorial powers. Finally, do not be deceived: The Patriot Act plus Homeland Security plus dozens of Executive Orders give the president or the head of FEMA dictatorial powers the kind of which have not been seen since the Hitler - Stalin era! We are at the point where a person's home can be invaded without warrant, without cause, and without the owner being aware that federal agents were there. We are at the point where secret arrests can be made of American citizens, where such citizens are not told their rights, given access to an attorney, or any other liberty we have traditionally enjoyed. No Born Again Christian would allow such a situation to develop, and would certainly not demand such powers as Bush has done. * President Bush domestically enacted the "Precrime" Aspect of the movie, "Minority Report" - NEWS1673. Immediately following the 9/11 attacks, government agencies began rounding up many hundreds of "illegal aliens", even though they had committed no crime and even though no charges were filed against them. Further, not only had they committed no crime, and had no charges filed against them, they were not allowed access to a lawyer. Finally, these men were held in secret, without their names even being published. The American public has tolerated it because we were told this action was necessary to "prevent terrorism". So far, the record of the John Ashcroft Justice Department pretty closely parallels this film. What are the "artificial threats" we are facing today? Iraq, Iran, North Korea, Muslim Terrorism. We have expended countless hours trying to demonstrate the truth: The U.S. created these problems in the first place so they could impose their draconian solution. Perfect outworking of the Hegelian Dialectic! * American Jewish citizen was outraged that President Bush would deliberately pose in front of a know Illuminiati symbol. NEWS2128. This article needs to be read in-depth, as time and space do not allow me to cover all the points here. Sufficient to say, our views that Bush is really a dedicated Illuminist are confirmed by this Jewish unique perspective. No Born Again president would associate with these types of men. No Born Again president would allow the office of the presidency to gather these types of dictatorial powers, for even if he did not use them, his successors just might! Such is the lesson of History. President Bush is taking this country down a very deliberate, well-thought-out plan to create the unparalleled global disaster that will produce Antichrist. We now proceed to Part 3, where we see how King Hezekiah of Israel dealt with at least as dangerous an enemy as Osama bin Laden and Saddam Hussein ever thought of being. Since the same Holy Spirit that indwelt King Hezekiah indwells Christians today, we should expect that President Bush's actions and his faith should be consistent with this goodly king. Truly, the signs point to a soon End of the Age.